The Atlantis door handle in an Antique brass finish supplied in all variations. Scroll down the page for product order options and full description. 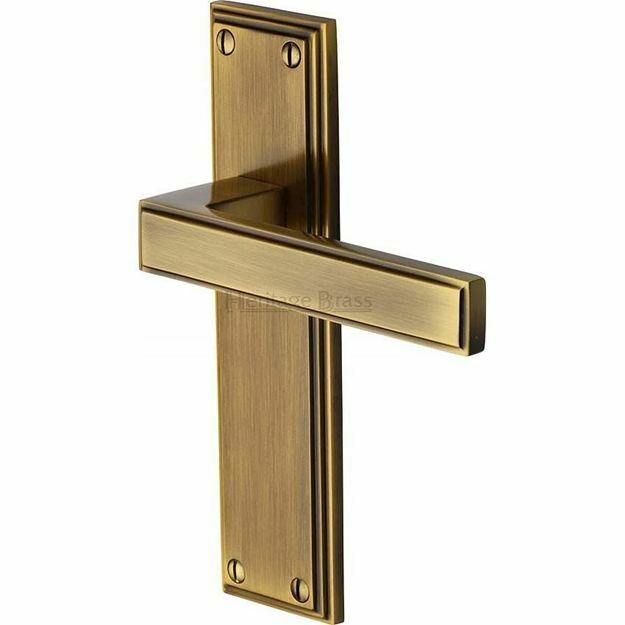 Available in an antique brass finish. 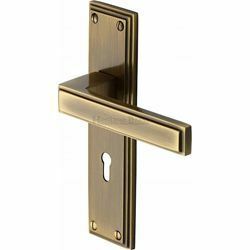 Manufactured from hot forged brass components and plated/finished to a high standard. 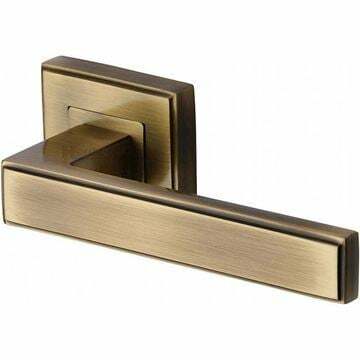 Lever length 127mm with a projection from door face of 52mm. 185mm high x 48mm wide back plate. Priced and supplied in pairs with fixings and spindle. 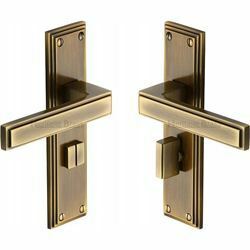 Supplied without locks/latches, which do I need for these door handles ? Full range of matching accessories available.